The American Express Business Platinum Card packs an enormous amount of perks into a small metal card, including amazing luxury travel and business benefits. For some, its $595 annual fee will be an immediate turn off. But if you can stomach a steep fee and travel regularly, the card could become one of the best tools for your business. The combination of airport lounge access, elite status at multiple hotel and car rental chains, and annual credits make this card particularly worthwhile for a business traveler. If you don’t travel much, however, the Amex Business Platinum Card can feel like a money pit. Here’s what you need to know before you apply—and if you’re not sold, try the CardCruncher tool to find the right card for you. Bottom Line: Should You Apply for the American Express Business Platinum Card? Minimum Payment: The card requires payment in full each month. $38 or 2.99% of any past due Pay in Full amount for late payments, whichever is greater. If you travel frequently, you’ll get significant value out of the card—far more than its annual cost. 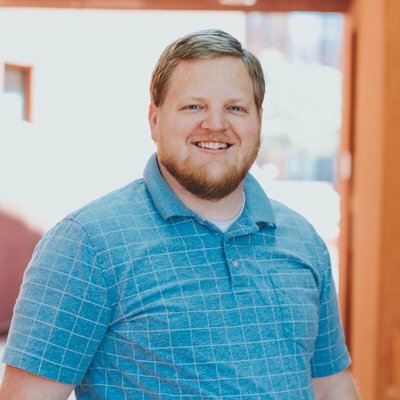 The WeWork benefit alone can potentially save you thousands of dollars over just one year, and the Dell benefit can help reduce the effective cost of the annual fee. The card’s main travel perks, though, are nearly unbeatable among high-end cards. You’ll get access to thousands of airport lounges, elite status at multiple hotel chains and car rental agencies, and complimentary Gogo in-flight internet passes. The card also has several credits than help offset the annual fee, including a Global Entry/TSA Precheck credit and a $200 annual airline credit. The Amex Business Platinum Card earns earn 5X points per dollar on flights and prepaid hotels booked through amextravel.com. All other purchases will net you 1 point per dollar, except purchases over $5,000, which earn 1.5X points. While Membership Rewards points aren’t particularly valuable if you redeem them for statement credits or gift cards, transferring them to Amex’s airline or hotel partners make them far more valuable. As an example: You can fly round-trip in business class on All Nippon Airlines from the U.S. to Japan for 85,000 points. Even a low end cash price might be $5,000. That’d make each point worth more than $0.05 each—that’s an incredible value. The Amex Business Platinum card is a charge card, which means you don’t have a set spending limit. Instead, your spending power is based on how you use the card and a few other financial factors. This setup can give you a lot more flexibility with spending than you might get with a typical business credit card with a set limit. That said, the trade-off is that you need to pay your bill in full each month. If you don’t spend a lot and don’t travel frequently, it’ll be hard to get enough value out of the card to make it worth an annual fee of $595. Run the numbers to make sure it’s worth its cost. The card’s base rewards rate is fairly mediocre, so unless you book a lot of flights and hotel stays, it’ll be hard to rack up points with the card. Other business cards earn higher base rates, and some even have bonus categories more tailored toward non-travel business expenses. You can redeem for up to $0.01 per point when you redeem for statement credits or gift cards. It’s a lot better value to instead transfer your points to Amex’s travel partners. That allows you to book business- and first-class flights. While you can extract tremendous value by doing this, the downside is that you need to be pretty savvy with other rewards programs to ensure that you get the most value out of your rewards. 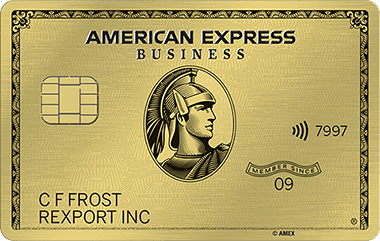 The American Express Business Gold Card also has a high annual fee, but it’s much lower at $295. The card offers 4X points per dollar on up to $150,000 spent each year in the two eligible categories you spend the most in each month. Eligible categories include airfare; advertising in select media (online, TV, radio); direct purchases of select computer hardware, software, and cloud solutions; purchases at gas stations; dining; and shipping services. You’ll get other valuable benefits the first year that Amex estimates are worth up to $3,188, too. The Ink Business Preferred Credit Card doesn’t offer a suite of luxury travel perks, but it does offer some impressive travel rewards. With it, you’ll get 80,000 points after you spend $5,000 in the first three months—that’s worth $1,000 in travel if you book through Chase. You’ll also earn 3 points per dollar on the first $150,000 spent in combined purchases on travel, shipping purchases, internet, cable and phone services, and on advertising purchases made with social media sites and search engines each account anniversary year. Here are some answers to common questions we’ve found about the American Express Business Platinum Card. 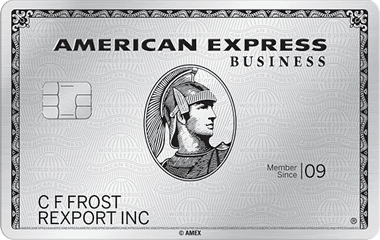 Who qualifies for the American Express Business Platinum Card? 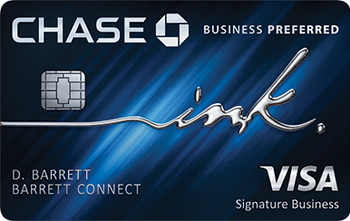 The card is designed for business owners with good or excellent credit, which typically starts at a FICO score of 670. That said, Amex will review your full financial and credit history, as well as your business financials to determine whether you’re a good fit. What happens if I don’t pay my balance in full? Amex charges $38 or 2.99% of any past due Pay in Full amount for late payments, whichever is greater. Depending on your unpaid balance amount, you could be on the hook for a big fee. 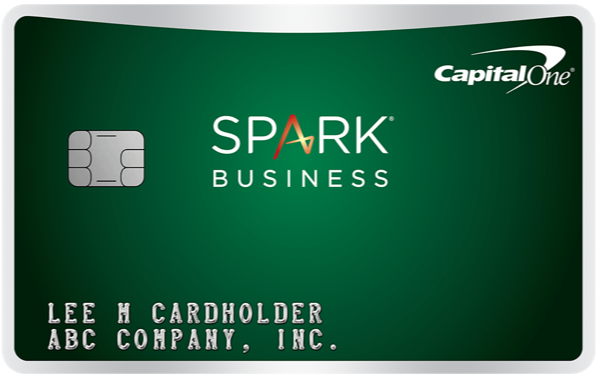 The card offers a lot of value for a specific type of business owner: someone who spends a lot and travels frequently. Earning potential aside, the card offers an incredible suite of travel perks. But while it might be nice to flash the prestige an Amex Platinum Card provides, it’s not worth its fee if you don’t earn that value back every year. Don't see what you're looking for? Ask a question here about American Express Business Platinum Card Review: Worth the Fee for Frequent Business Travelers and one of our experts will get back to you.